Add Jeff Wayne's The War of The Worlds to your favourites to get the latest news and updates. One of the most ground-breaking arena tours of all time, Jeff Wayne’s Musical Version of ‘The War of the Worlds’ - Alive on Stage is to make its return to arenas throughout the UK in 2018. Commanding the stage, Jeff Wayne returns to the podium to conduct the 9-piece Black Smoke Band and 36-piece ULLAdubULLA strings, while Liam Neeson retains his role in 3D holography as The Journalist. 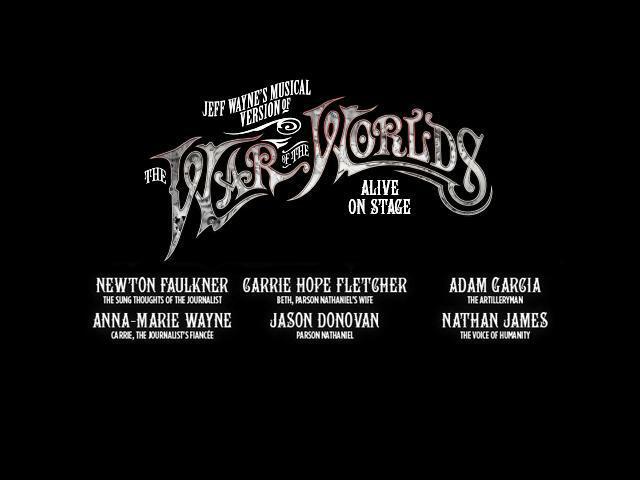 Also starring in the ground-breaking show will be Newton Faulker, Adam Garcia, Nathan James, Anna-Marie Wayne alongside Carrie Hope Fletcher and Jason Donovan!